Italian data center provider Aruba Group has opened the first part of what it hopes will become the biggest data center campus in the country. 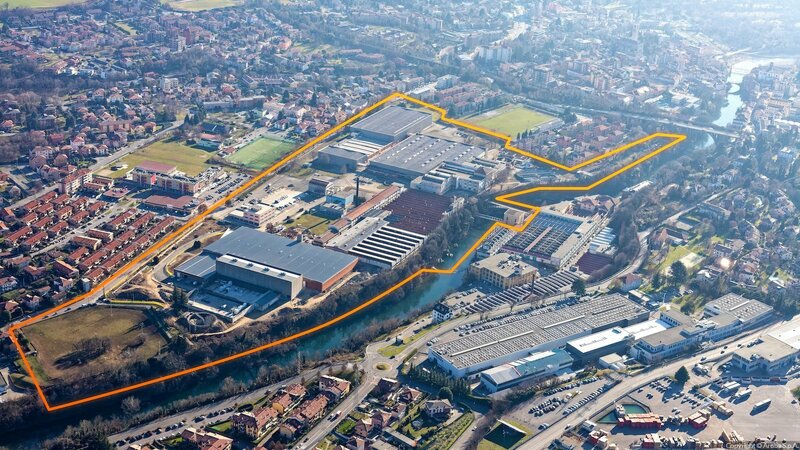 The Global Cloud Data Center, IT3, is located in Ponte San Pietro in the Northern region of Lombardy, about 40km (25 miles) outside of Milan. The 210,000 sq m (2.26m sq ft) site already features 85,000 sq m (915,000 sq ft) of indoor space, but the buildings need to be either “revamped or destroyed and rebuilt,” according to Aruba’s CEO, Stefano Cecconi. The company has been granted the authorization to occupy the entire property. “It’s just a matter of finding customers,” he said. The first facility on the campus, DC-A, is already operational and able to support 4MW of equipment, of which it is using “more or less 3MW.” At full capacity, it could be built out to hold 15MW. In total, Cecconi states, the campus has the potential carry loads of up to 90MW, based on an average calculation of customer requirements in terms of power and density. 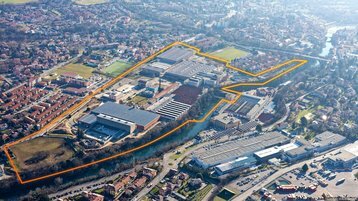 The site will serve OTT customers, medium to large enterprise and financial groups from Northern Italy that need physical access to the facility, as well as smaller customers that require managed services. Aruba hopes the campus will satisfy what the company sees as a growing need for data centers within close proximity to their end users. “We see relocation of data and projects to more local points, instead of trying to serve the European market from a central location,” Cecconi told DCD. Initially, Aruba planned to build the data center on a different site, but the potential for available renewable energy was what made it choose Ponte San Pietro. 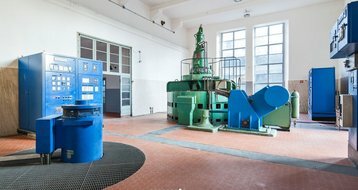 The campus is adjacent to the Brembo river and has its own hydro electric plant. The company has also installed solar panels on the roof, giving it on-site renewable power generation of 5MW (1.5MW from the plant and 3.5MW of photovoltaic energy). Anything over the 5MW which the company buys from the grid is renewable energy. The site also uses a geothermal cooling system, drawing water from a well on the site, which Cecconi said results in a 5 degree increase in temperature when it is returned to its source. Aruba has three of its own data centers, and another three to host its cloud services, operated in partnership with independent infrastructure providers. The company plans to open a data center in Poland “quite soon,” which it will own in full.